My fitness journey started when I was about 18. Like a lot of inexperienced male lifters, I immediately picked up the heaviest weights I could lift and started working out 4-5 times a week. Despite making solid progress, this lack of regard for form caused several minor injuries, and I realized it was time to rethink my strategy. This experience translated into my current training style, where I focus on using strict form in many different types of functional training exercises. Using techniques like TRX, kettlebells, and body-weight exercises, I take a holistic approach to training that can benefit anyone of any experience level. I've worked at several big box gyms including LA Fitness and Gold's Gym and have helped clients of all ages and backgrounds. I will design a customized workout program based on your goals and track your progress beyond just the numbers on the scale. I can help push you beyond where you would push yourself while still having a good time! 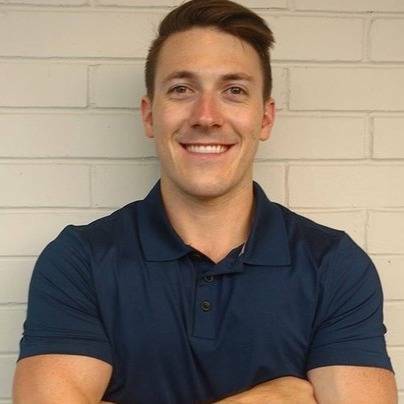 Craig is a amazing personal fitness trainer with deep fitness knowledge and awesome personality. My progress in 6 months:: Bench press: 95lb 8 reps to 165lb 4 reps Inclined db press: 25lb 12 reps to 40lb 12 reps Squat:115 lb 8 reps to 165 8 reps Dip: body weight 3 reps to 35lb weighted 12 reps Pull up: body weight 1 reps to body weight 9 reps Skull crushers: 30lbs 12 reps to 50lbs 12 reps I don’t need to say how awesome this man is since my progress says it all. Thank you Craig. I’ve been working out with Craig for the past two months (3x/week), and I can’t recommend him highly enough. He keeps every workout challenging, never letting you plateau, and introduces new routines constantly to keep you engaged. In the past eights weeks I’ve lost 2% body fat, and that’s with almost no self-discipline when it comes to my diet. We alternate between TRX, kettlebells, classic bench/squat racks, resistance bands, body weight, high cardio, and anything else you can imagine. He’s easy to communicate with and is quick to respond when setting up appointments. If you want to kick your fitness level into gear, and want an easygoing trainer who will leave you dripping with sweat, Craig is the trainer for you. I had the pleasure of training with Craig some four months, and during that time he proved himself to be knowledgeable, flexible and highly responsive. He has a great personality and is very approachable, and was able to adapt trainings based on my needs. He’ll give you a hard workout if that’s what you’re looking for, but he also took time each session to talk about diet and my workouts outside of training, and was able to give me holistic advice when I ended up changing my fitness goals. Highly recommended for anyone new or looking to enhance their fitness routine. I've tried ~5 personal trainers and Craig is the best. He came to my the gym in my apartment building so I had no excuses, super communicative by text, and very interested in meshing his theories/knowledge with my goals. I've stuck with a lot of his recommendations and have seen results. I can't recommend him highly enough. I travel a lot and don't always have a regular schedule, and he sent me customized plans I could do on my own in my hotel room when I didn't have gym access. Throughout the years I've had multiple trainers, most come and go. I've been training w Craig on and off for about 5 months now and he is by far the best trainer I've ever had. He's incredibly punctual, professional and really pushes you. Craig also is incredibly well versed on the body as a whole which is great for someone who wants full-body conditioning. Will continue using him and you should too! There’s nothing bad to say, sometimes he has to reschedule but sometimes I have to as well so it works. He keeps track of the important stuff and the number of reps throughout the workout. Overall he’s friendly, on time, and knows what he’s doing. Craig has been my trainer for several months and is very good. He is able to use the resources available - weights, trx, or just body weight - in order to give a good and effective workout. He knows what he is doing and listens if something is aching and adjusts the training accordingly. I enjoy the training sessions with Craig and I definitely recommend Craig as a trainer. Working out with craig was great. He was attentive and professional and even help me break my personal record in bench press! If you are looking for someone to train you the right way, he is your guy.